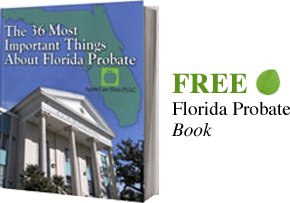 New Jacksonville foreclosure law hurts homeowners and makes it more important than ever to involve a Jacksonville foreclosure defense lawyer from the beginning of your case. Foreclosures in Jacksonville Florida has led the United States, and the state of Florida has one of the largest backlog of foreclosures. It is more important than ever to use a Foreclosure defense lawyer to advise you of your rights. In an effort to speed up this process the foreclosures in Florida the state fundamentally changed the foreclosure process in June 2013. In short, the law expands Florida’s expedited foreclosure process, makes recovering a home which is lost due to bank mistakes or fraud nearly impossible in most circumstances, requires the lender to the produce the note with its complaint, and limits the length of time that deficiency judgments are collectible. Florida is a Judicial Foreclosure state, which means that the bank or the lender must file a lawsuit in state court in order to foreclose on the homeowner. The lender initiates the foreclosure by filing a complaint in the court and having the complaint served on the borrower as well as their spouse and any tenants living in the property. If you lose the case, the court will enter a judgment of foreclosure and the property will be sold at auction to satisfy the debt. The new law makes several substantive changes to how foreclosures must be conducted in the state. The law is both harmful and in some cases beneficial to homeowners. The overriding goal of the law is to speed up the foreclosure process, which may hurt homeowners. The law also limits the time lenders have to collect a deficiency judgment. A deficiency judgment is what allows the bank to collect the difference between what you borrowed plus interest and fees and typically the price the home sells for at auction. Limiting collection of the deficiency judgment is seen as helping former homeowners who lost their home to foreclosure. Florida law already provided a procedure to speed up the foreclosure process in cases that were uncontested or in cases where the homeowner does not have a valid legal defense. Prior to the new law, the lender or bank could request an order to show cause why the foreclosure should not proceed. If the defendant homeowner waived the right to be heard, by failing to file a response, or by filing a response that does not have a legal basis to contest the foreclosure, by failing to attend the hearing or loses the hearing, the court can enter a final judgment of foreclosure and order a foreclosure sale. Under the new law, any lien holder, which now includes homeowner associations and condo associations may request an order to show cause to route foreclosures through the expedited process rather than through a typical court proceeding. This means that homeowners have less time to be considered for a loan modification or apply for government aid; arrange another alternative to foreclosure such as a short sale or a deed in lieu of foreclosure; prepare to find alternative housing. The new law also makes all foreclosure judgments final. An action to set aside, invalidate, or challenge the validity of a final judgment of foreclosure is limited to monetary damages when the lender fails to meet certain conditions. This means that a victim of a fraudulent foreclosure cannot get his or her home back. Ironically the new law, which was designed to speed up the foreclosure process, has caused foreclosures to get further backlogged as banks struggle to comply with the law and prove they own the loans. This means that it has never been more important to have an experienced foreclosure lawyer at your side at the start of the process, as waiting until late of the process will have fatal consequences. To see how we can help with preventing or resolving your Jacksonville Foreclosure Contact Us online or call us at 904-685-1200 now to see if a Jacksonville Foreclosure Defense Lawyer can help you and your family stay in your home.